DAVID LE/Staff photo. 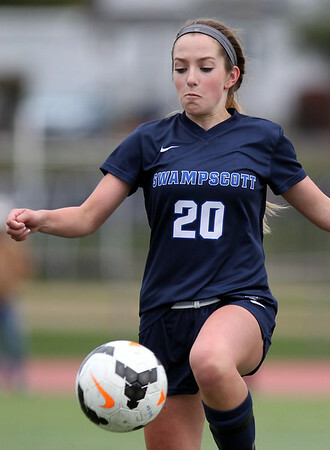 Swampscott's Julianna Rhodes (20) tries to control a bouncing ball with her knee on Thursday afternoon against Beverly. 10/1/15.